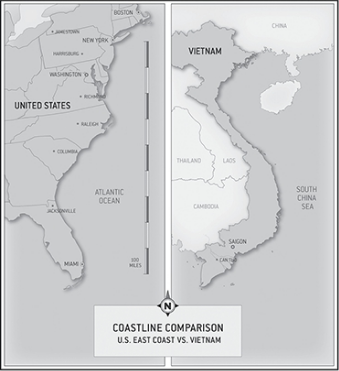 When reading Rolland Kidder’s book Backtracking in Brown Waters I came to the realization that Vietnam is much larger geographically than I always thought. I thought it was a fairly small country is Southeast Asia. 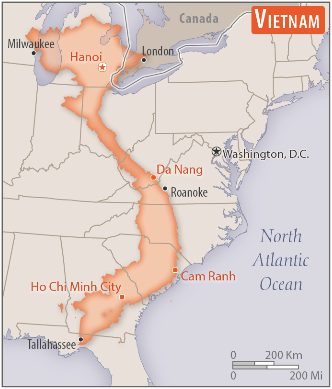 Here are two superimposed images of Vietnam compared to the coastline of the Eastern United States. The above image is from of Kidder’s book referenced above. The above comparison comes from the online profile by the CIA on Vietnam.